You don’t need oil to get your fries crispy and flavorful. All you need is hot air! 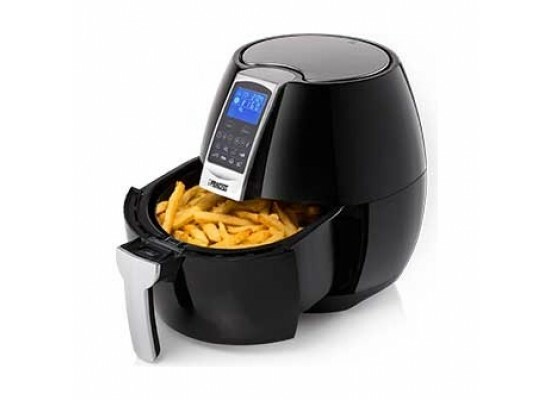 The result is much healthier and contains less fat compared to a conventional fryer. Healthy, crunchy and tasteful results with hot air! 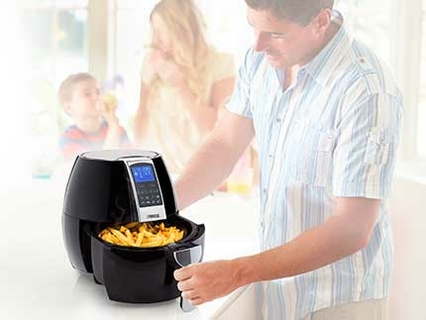 With this new and innovative fryer, you can not only fry healthier, but it is also possible to bake, grill, and roast all your dishes without using oil! 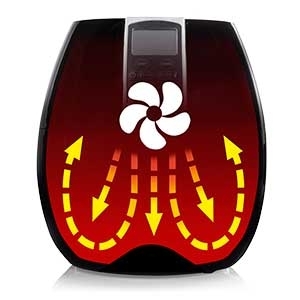 The High Speed Air Convection Technology enables you to prepare all your meals by only using hot air. The unique combination of hot, circulating air and a perfect temperature results in healthier frying, grilling, baking, frying and roasting. Because no oil is needed, frying with the Princess Digital Aerofryer XL is a lot safer and almost odorless. The basket and the tray is also dishwasher safe, so is also very easy to clean.